Piovene Rocchette is where most of my family live - I have about eight uncles and aunts and countless cousins in this one tiny place. 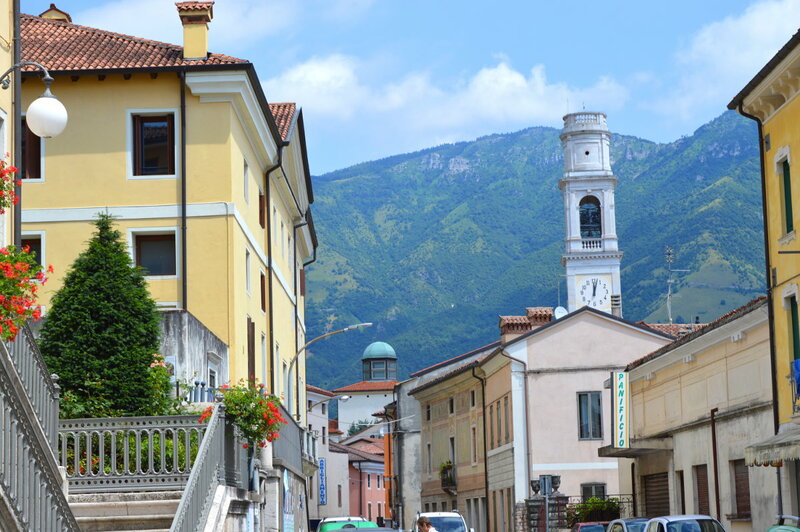 It is a pleasant little village with an interesting old town that meanders its way up the slopes of the legendary local mountain – Monte Summano. There are a few interesting sights in the old town. The little chapel, known as the Ospizio, is my favorite spot. 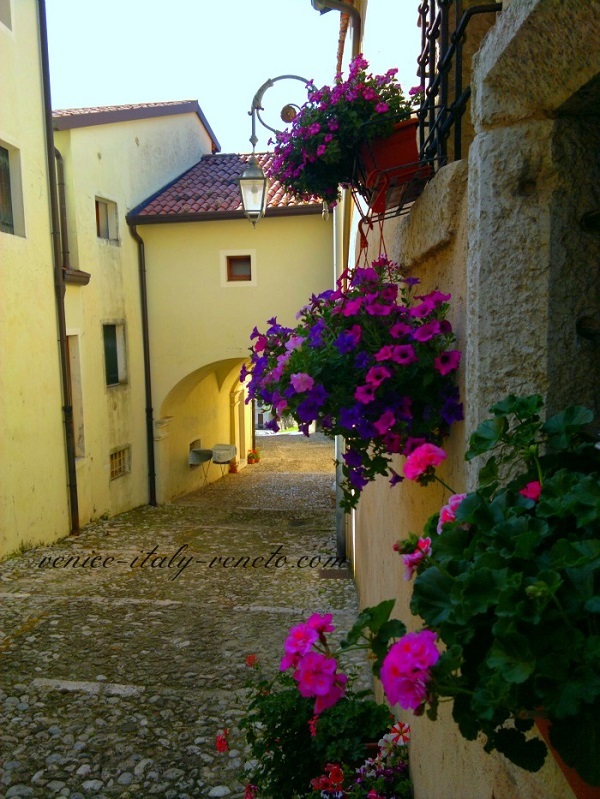 Ospizio dates back to the 17th century and was run by friars who offered a place to stay and a hot meal to the many pilgrims who used to make the trip up Monte Summano. The local Church of S. Stefano dating back to the 18th century is lovely too. Near the church there is a shady piazza which is a pleasant place to relax in the summer under the huge pine trees. There is a little bar in the piazza where you can sit and have something to drink while watching the passing parade. Kids play while mothers relax and old people stand around gossiping. Best day to be here is Friday when the local market is in full swing. The market winds up and down the main street and off down the side ones too; they have stalls selling all sorts of things from clothes to cheese and you'll find some fabulous treats and great bargains. I could easily spend an entire morning at the market and normally do! In fact Friday's market is such a local legend that all the folks from neighbouring towns come to Piovene to do their shopping, catch up on news and see old friends. When you've done shopping head on down the hill to a local landmark - the haunted castle of Palazzino Fraccaroli. 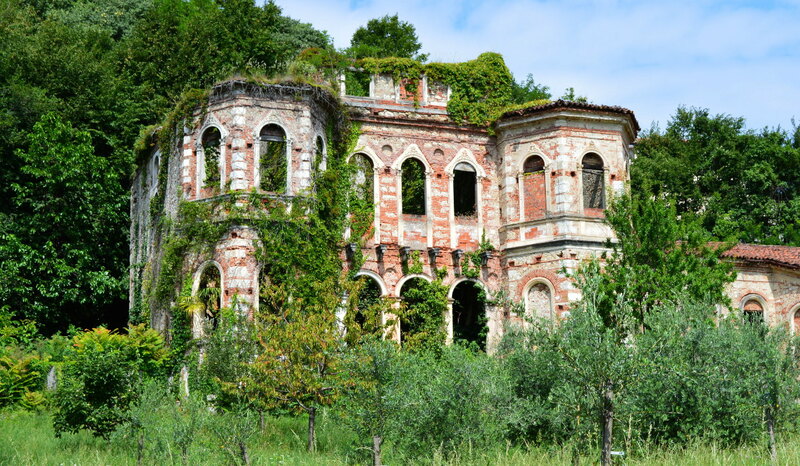 Built in the 18th century, but never finished, local legend says it is a cursed and haunted place. I never go near the place! I sent my husband to take the photo. I'm always convinced I see ghosts floating outside or just inside the top windows, which is where they are supposed to appear...can you see any? Maybe it's just me. Monte Summano dominates Piovene and has been a site of pilgrimage for centuries – traces of bronze and Iron Age settlements have been found on the slopes of the mountain. Pilgrims have flocked to Monte Summano ever since the Bishop of Padua dedicated it to the Virgin Mary back in the 15th century. The mountain offers some great hiking trails and it is a popular jumping off point for hang-gliders - something I have never had the courage to do. Still you don't need to jump off the top just enjoy the fantastic view. On a clear day you can see nearly to Venice. First is to just stroll around the little streets, squares and alleys of the old town, enjoying the atmosphere. Beer lovers must visit the Birreria Summano. One of the oldest Italian breweries it has now been taken over by a large German brewery. The good part is that the beer is still excellent...according to my husband who's the beer expert! They have a great restaurant serving local specialties. Wholesome, very tasty food it is and the prices are very reasonable. 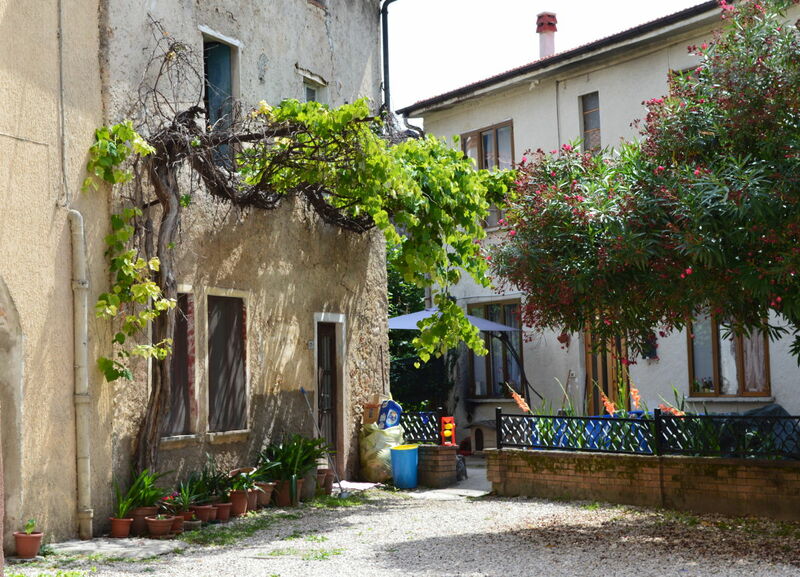 If you want to use Piovene Rocchette as a base to explore the Veneto then there is a lovely little hotel on the edge of town that is perfect. Family owned and with that really welcoming Italian family feel about it. 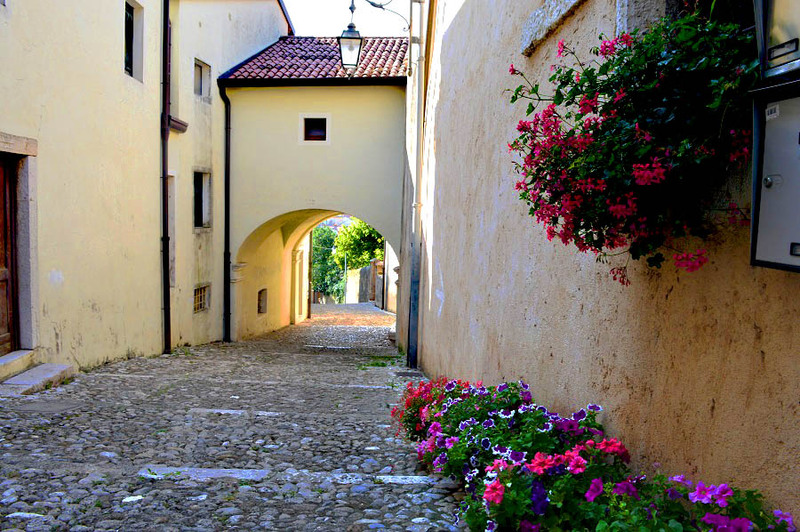 The hotel is the Albergo Ristorante Belvedere in nearby Thiene.